Red and pink is one of my favorite color combos. I featured it back on the blog a looong time ago when I was still taking mirrored pictures. (Yikes to that throwback ahah!) I love it because I think it is pretty unexpected. Most people only think about it near Valentine's Day, but I love it year round! I know most people are starting to move onto Fall clothes, but I want to soak up Summer for as long as possible. (Heck, it is still over 95 degrees out a day!) Most of these pieces are old, but similar ones are linked above! Also, how gorgeous is this necklace from Happiness Boutique?! They are a new to me boutique with the cutest pieces! They have a great jewelry and clothing selection. They are overseas, but the shipping is incredibly quick! I swear, I received this necklace faster than some of the packages I have ordered that are shipping just within the United States. Be sure to check them out and let me know what pieces you are loving : ). Before you go, have you entered the giveaway to win a pair of Kendra Scott earrings yet? Enter using the Rafflecopter below! Also, I had the opportunity to guest post for my friend Kylie on her blog yesterday! The post is a great introduction into this blog and me... especially if you are a new reader! Definitely check it out! I have gotten an incredible amount of use out of my white dresses this season. When I bought two white dresses in the spring (one for my bachelorette party and one for my rehearsal dinner) I really did not think I would wear them much again... boy was I wrong! I love how the denim vest adds some edge to this feminine white dress. These two pink pieces from the new Kendra Scott Mystic Bazaar collection are the perfect finishing touches to the look! Unfortunately, aside from the accessories, most of these exact pieces are sold out. I have found similar ones and linked them all above! Also, yesterday you all got to see the launch of the new blog design! I had my last design for a year and a half and it was just time for a change. I love how this design looks and am so happy with it! I feel like it looks a little bit more professional. Tyler is doing most of the work, and I am pitching in with smaller details, so please be patient as we make a few more edits over the next few days! 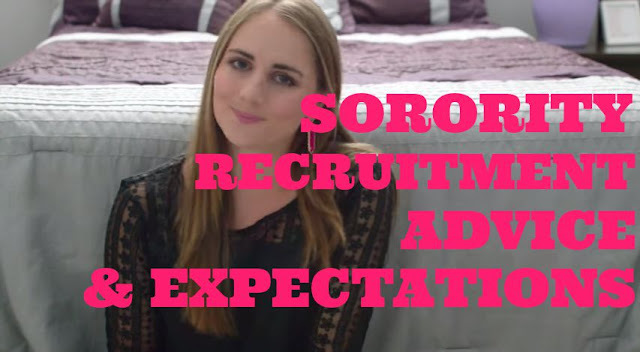 Before you go, make sure you enter to win a pair of Kendra Scott earrings! Having a skin care routine is something that is especially important to me. I struggled with acne while I was in high school so it has been engraved in my brain for years to stick to a system that works! Below are some of the current products I am using to keep my skin clear, which I can get all from Target. If you are interested in any of these listed below (or ANY Clean and Clear Product) just know you can save 10% now until August 22. The first step of my nighttime skincare routine is always to take my makeup off. 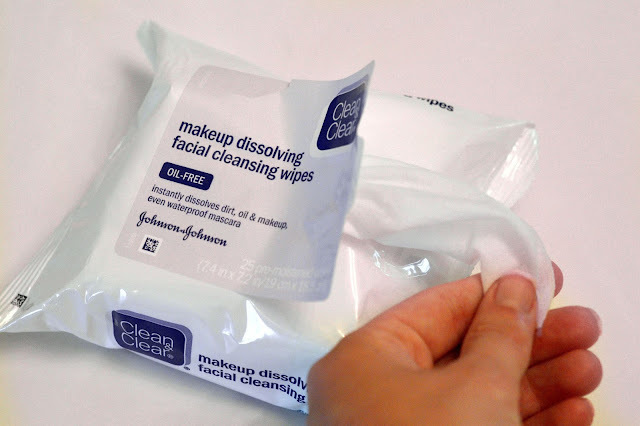 I picked up these makeup remover wipes from Target and am obsessed! They get rid of all makeup on my face, but still feel gentle. I have sensitive skin so that is a must for me! In the evening, I recently started this face wash. It honestly smells like nighttime (if that makes sense haha!). Tyler and I are both currently using it and really like it. You know it's a good product when both you and the hubby both love it! If you have watched some of my YouTube videos then you have heard me talk about this spot treatment before. It works better than anything else I have ever tried! The price can't be beat and it works perfectly. If I notice any blemishes coming on, I can put this on before bed and it makes an incredible different. I honestly can't recommend it enough! Back to school time is the perfect time to find a skin care system that works for you. What better time is there to but your best face forward? Even if you are not heading back to school, now is a great time to start using products that work! Want to pick up these products for yourself? Head to the nearest Target! My Target has them in the usual skincare aisle but also on an end cap in their own display! What products are you using right now? 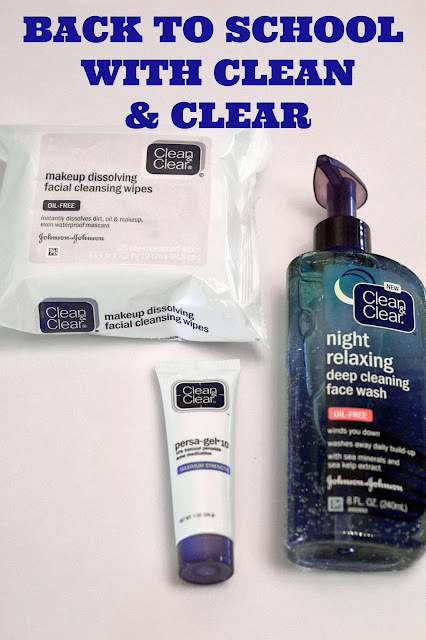 Be sure to check out some skincare tips over at Clean and Clear. I'd love to hear your favorites in the comments below! Linking up with More Pieces of Me, On the Daily Express, and B Loved Boston. Hello, everyone! Today's look is featuring another one of my Nordstrom sale purchases! This top was one of the first things that caught my eye when I was browsing and I immediately added it to my cart! It seemed like it would be the perfect top for going out or date night! The black is now sold out, but it is still in stock in other colors! The lace detailing and hem line give the shirt a lot of fun elements. (For size reference, I am wearing a small.) I paired it here with some white shorts and kept the accessories simple by adding in one pop of color with my earrings. These earrings are from the new Mystic Bazaar line at Kendra Scott and I am in love! I love the deep pink color and their shape is so fun! I would also like to note that these earrings are incredibly light. I wore them to work a couple times last week and I had a few people ask about how heavy they were so I just wanted to address it quickly here in case you had the same concern. If you want to see my top picks from the Nordstrom sale, check out this post. I purchased three things on day 1 and have seriously browsed through the sale every day since then! I don't particularly need anything else, but there are so many cute things I may have to treat myself to 1-2 more things! P.S. are you following me on instagram? If not, I am currently running a giveaway there! Details here. Last week on the blog, you may have seen me wear this layered necklace over a white dress (post here). The necklace is from 522 Envy and I received a ton of compliments on it, so I wanted to take a minute to tell you all about the company today! 522 Envy is a boutique located in Illinois. They have a ton of on trend, yet affordable pieces! The 522 portion of their name, reflects where the store started. I love how the name came about! Their inventory is constantly changing, so if you see something you like... buy it now! My necklace is already unfortunately sold out, however I also love this piece. This necklace pairs perfectly with this shift dress I picked up during the Nordstrom sale. The dress is less than $32 and I can picture a million ways to wear it. I picked this color specifically for Fall... I think it will look so cute with riding boots and a vest! This exact color is already all sold out but it is still available in other colors. For size reference I am wearing a small! Happy Friday!! I am so happy the weekend is here! Tyler and I both had pretty stressful work weeks this week, so it will be nice to have a fun, relaxing weekend! Back in the spring, I did a post highlighting my favorite spring looks of 2014. I received a lot of positive feedback on it, so I thought I would do the same thing for summer fashion! I will link to exact pieces if I can still find them, but otherwise I will just be highlighting similar pieces. Which one is your favorite? !